The best-fit therapist meets three criteria: the location, scheduling and interpersonal connection all work well. The last of the three can be the most challenging to find. It is also the most critical piece. On this page you’ll find advice about all three. Location. It’s critical that the location works for you. It’s really a bummer when you get attached to someone only to discover over time that you can’t keep it up because it’s too much of a strain to get there. 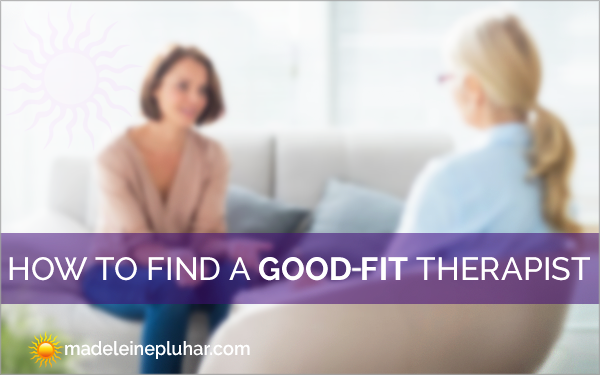 Even if you expect that you won’t need more than a few sessions right now, once you’ve found a good fit therapist, you might want to use him or her, again, in the future. So be sure to reach out to those therapists whose location will work for you over the long haul. Scheduling. Before making a call, think about what time of day will work for an appointment. Most are fifty-minute “hours.” Some therapists offer a full hour. Ask which they offer so you can plan for it. Do you have day-time availability? You might have a flexible work schedule; you might qualify for FMLA (Family Medical Leave Act) benefits, which will give you time out of the office. Maybe you need evening or weekend appointments. If you’re a “morning” person, maybe you’d prefer to meet early in the morning on your way in to work. Be clear with yourself, first, what time of day will work for you. Equally important, ask yourself how often you want to be seen. Weekly? …Every other week? One of the first things to establish, once you’re in contact with a potential therapist – by phone or e-mail – is whether his/her availability works with yours. If it doesn’t, save yourself some trouble and move on. Interpersonal fit. Next, plan on taking ten minutes by phone to feel them out before committing to an appointment. (Note: e-mail is great for establishing location and scheduling, but it doesn’t give you a clear read of the interpersonal fit. 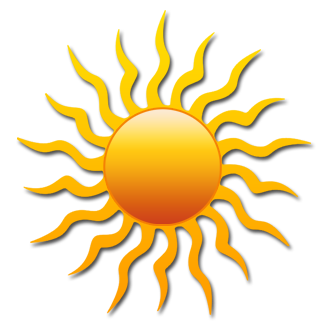 For that you need to hear the person’s voice and have real-time dialogue.) Most clinicians will give you ten minutes. Think about what you want to find out. You might want to ask, “What is a session like?” or “What kind of therapy do you offer?” These questions get the therapist talking so that you get a little exposure to the clinician’s personality. Try to ask any questions that come up for you in response to the therapist. Partly, you’re looking for an answer to your question. But also, how you feel about his or her response will give you a lot of information about how well you can work with this therapist. Also, notice – did the therapist answer your question or go off in a different direction? This lets you know how well the therapist tunes in to you. Notice how you feel in response to the therapist’s reply. Do you feel heard, relaxed, appreciated? That’s a good sign you may be able to achieve a lot with that counselor. On the other hand do you come away feeling irritable, impatient, lonely, numb? Most likely this person isn’t tuning in the way you need to be tuned in to. These ten minutes by phone, give you a little exposure to the fit between you and the therapist. In some instances you may get a good feeling right away. You feel hopeful that this person can help and you open to talking with him or her. Make a first appointment to check out the fit a bit more. Similarly, you might know right away that the “chemistry” isn’t right for you. Let it go and reach out to someone else. But what if you’re not sure? After the call take a few moments to do a “gut-check.” Notice what you are sensing at your core. Is there tension or dis-ease? Do you feel, for example, confused or hurried? Is your discomfort about what happened on the call or is there something else bugging you? Was the fit good but the logistics really not that great? Try to sort out what the not-so-great feeling is about before committing to any more time with that therapist. When you’re not so sure about the fit, you might want to put him or her at the bottom of your list and keep searching. With one or two more calls to other clinicians, you may be able to cross this one off your list, altogether. If you can’t find anyone else who fits logistically, it may be worth making one appointment just to see if the connection is better when the two of you are face to face. Did you get energy from the time with him or her? We’re not talking about getting enough energy to swim the English Channel. Scan your experience for even a slight lift. Did you find yourself sharing more than you expected and are you comfortable with the clinician’s responses? Did you learn anything about yourself or the clinician in the course of the session? Did you sense that the clinician was both present and connecting with you? Did you come away feeling understood? Did the contact make you want to see him or her again? If you answered, “yes” to any of these questions it’s probably worth checking it out, again, in a second appointment. If the follow up session also leaves you positive you have likely found someone who is going to help you grow, significantly. On the other hand, if, after visit number two, you’re saying “no” or “I can’t tell” you might want to keep looking. There’s likely to be someone out there who will connect with you effectively, but you won’t find that person if you stop looking. Troubleshooting. In the event that you’ve exhausted your search and you’re still not finding someone, you may need to sacrifice one of the three most essential things. My preference is that you go for the interpersonal fit and make do with a less than ideal geographic location and schedule. I call this the “good enough fit.” Make do with that. You’ll grow a lot. Bringing your life back to happiness is a very worthwhile endeavor. So do get the help you need, even if the timing or place is inconvenient.